With high wages and tight competition for workers, is this the best year yet to get a holiday job? In this white-hot labor market, even holiday jobs can come with a retirement plan and stock options. With unemployment at its lowest rate since December of 1969, retailers and other businesses that ramp up staffing for the holiday season are going to have a tough time finding workers. For people looking for a seasonal job, this is good news: They can expect to find higher pay, more flexibility in scheduling, and even perks like paid time off, analysts say. According to an annual survey from online hourly-work platform Snag, 84 percent of businesses say they’re going to need extra workers this holiday season. In the face of a tight labor market, that demand is driving pay higher. Snag also found that the average hourly wages that companies expect to pay seasonal workers jumped by 32 percent in only a year, with average hourly pay rising from $11.70 in 2017 to $15.40 this year. For the retail sector, average seasonal pay jumped by a whopping 54 percent. It’s easy to see why: The September jobs report released Friday by the Labor Department found that the unemployment rate had fallen to 3.7 percent, despite the addition of only 134,000 jobs during the month of September. Some economists suggested that low number was a fluke, pointing out that upward revisions to July and August employment figures led to the addition of a combined 87,000 jobs for those months. “Overall, it was a continuation of the strong jobs reports we’ve seen most of this year,” said Kate Warne, an investment strategist at Edward Jones. This means businesses that want to hire holiday workers will have to be more generous with pay and benefits, as well as start their searches earlier. “Retailers are expecting this to be a really big quarter,” said Andrew Challenger, vice president at Challenger, Gray & Christmas. “Their plans for holiday hiring indicate that they need a lot of help. We’ve seen a couple of unconventional things,” he said. 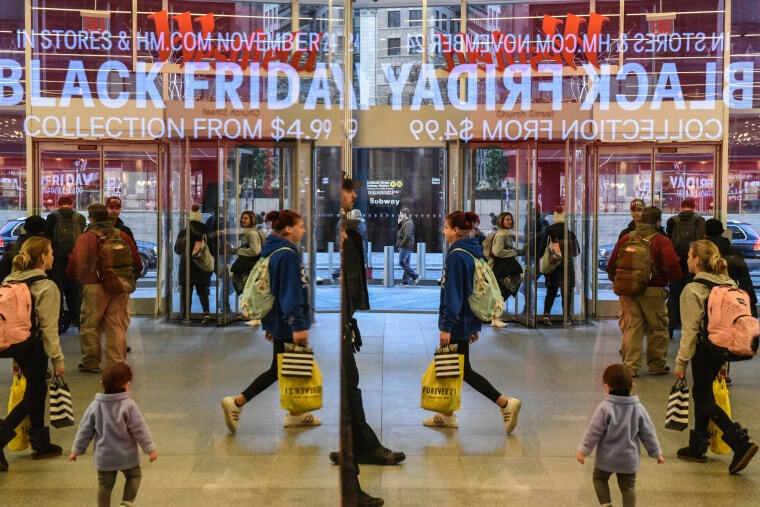 Some brick-and-mortar retailers started their searches to fill holiday slots as early as July, he said, and Amazon’s surprise announcement this week that it will pay hourly workers a minimum of $15 an hour starting in November will likely force other retailers to raise pay in order to compete, said Challenger. Even before Amazon raised the bar, businesses had resigned themselves to having to pay more for workers this holiday season, said Fabio Rosati, CEO of Snag. “Holiday hiring is going to be really difficult this year. It will probably be the hardest hiring season for retailers and restaurants and hospitality companies,” Rosati said. “They are not only facing a tight labor market but also increasing competition from two huge new categories,” he added; namely, warehousing and the gig economy. Despite the tight labor supply to meet seasonal demand, retail remains a perennial weak spot in the overall job market; in September, the sector shed 20,000 jobs, even as transportation and warehousing added 24,000 jobs — a sign, Challenger said, of how radically the industry is shifting to focus on online shopping. While wage growth in September remained at an annualized 2.8 percent, according to the Labor Department, economists think a trend towards higher pay is finally picking up steam, and this holiday season could give this upward movement significant momentum. “I don’t think there’s any disconnect now. The employment cost index shows 3 percent wage growth for private sector workers, and that’s exactly where you’d expect it to be right now,” said Mark Zandi, chief economist at Moody’s Analytics. “I would expect wage pressure to continue to accelerate." In addition to paying more, companies are searching for non-cash incentives to lure workers. “They're starting their hiring earlier and they’re concerned about the wages they’re going to have to pay,” Warne said. “They’re focusing on time off and benefits as much as they are about wages,” she said, referencing anecdotes of businesses letting workers accrue paid hours off for the duration of their employment. Andrew Chamberlain, chief economist at Glassdoor.com, said some companies are even looking into offering retirement benefits, a previously unheard-of perk for temporary workers. “I have heard anecdotes about companies offering some kind of retirement plan contributions, which would be very unusual,” he said.